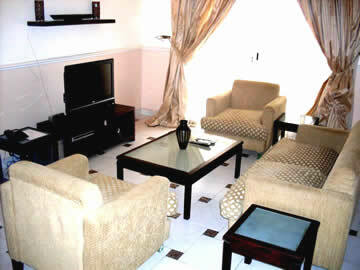 Kessington Meadows offers luxuriously furnished and tastefully finished corporate rental apartments. The apartment has everything under one roof a total of nine apartments of varying configurations. Kessington Meadows comprises of a one-bedroom, two bedroom and penthouse, all in distinctively apportioned apartments available on short and medium term letting. Located in Ikoyi district of Lagos, Kessington Meadows apartments offers great accommodation options to discerning travellers with a desire for premium service in a private and secure location. Kessington Meadows offers tastefully furnished and finished building comprises of a number of one-bedroom, two bedroom and penthouse apartments. The apartment has everything under one roof with a total of nine apartments of varying configurations. 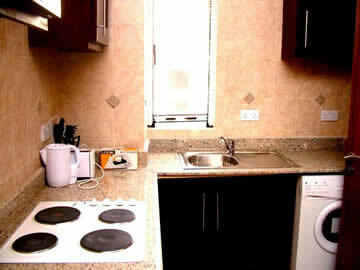 All the rooms are distinctively apportioned and they are available on short and medium term letting. The rooms are well maintained, clean and cosy where guest can comfortably relax. Kessington Meadows apartment offers a sociable eat-in restaurant and residential lounge with a business centre, a gym and swimming pool for the active guests. All floors are equipped with emergency lighting, fire extinguishers and an alarm system. External security is assured with 24-hour surveillance, CCTV, Electronic control access gate and electrically wired perimeter fence. Kessington Meadows also offers laundry and dry cleaning facilities, daily linen changes and maid service.